Creative's Booth in Singapore IT Show! Whoa! 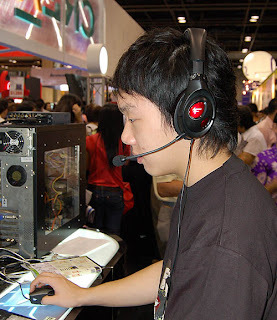 look at the crowd at Singapore's IT Show at Suntec City, got to squeeze through the crowd to get to the booth! Promotion of the X-Fi Music Quality is very prominent... However, still no sign of rumored new X-Fi Zen MP3 player or any ZenPhone to challenge Apple's iPhone. This is a sleeker version and pricing is not available yet. 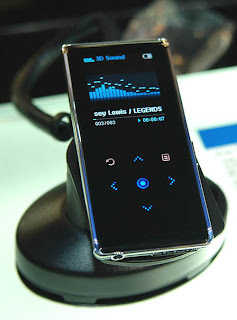 A peek at competitor's MP3 player, the YP-K3 comes in a slim and shiny black with a full color OLED display. Look damn cool and sleek, drooling already. Hope our next Creative Zen flash MP3 player will look better than this! Get more details here! Creative's Booth in Singapore IT Show!